As two friends are sharing stories together, the story of the man in the box comes up. The man in the box, Byelikov, was an eccentric professor that often made his coworkers feel uneasy. One day, Byelikov finds himself enamored with the sister of a new teacher at the school, Kovalenko. The prospect of a relationship between Byelikov and the sister, Varinka, excited his colleagues as they thought it might help to make him more normal and approachable. However, when someone takes it upon himself to draw a humorous caricature of the couple, things fall apart. 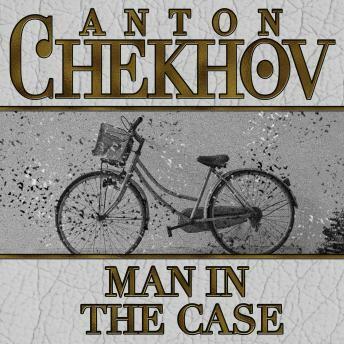 When Byelikov's concern over the picture is not taken seriously, he retreats further into himself and the reader discovers what makes him the man in the box.